CRASHBARS - the official distributor of HEED products. 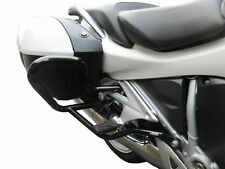 A steel, black engine guard for Suzuki DL 1000 V-Strom (02-09). 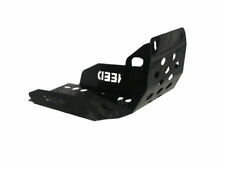 Assembly requires crash bars of any manufacturer - part of the mounting engine guard. R&G Aero Bobbins are a stylish, aerodynamic, teardrop shaped bobbin improving on the original good looks of highly successful and popular standard round bobbins. 2014 > 2017. AERO-STYLE CRASH PADS. KAWASAKI Z 250 SL. Protect your Engine & Bodywork. CRASHBARS - the official distributor of HEED products. No interference with the structure of the motorcycle. Painting: powder coated. All our products have 2 years warranty. YAMAHA YZF R1. CLASSIC-STYLE CRASH PADS. Material: Steel core and mounting brackets. Nylon body. • The product is sold with regular invoice and manufacturer's warranty. • We encourage you to check the manufacturer's website for more information by referencing the manufacturer's part number. Frame Sliders Crash Proection Product Details: Condition: 100% Brand New Color: Black,Red,Blue,Titanium,Gold,Silver Material:6061-T6 aluminum ABS plastic Placement on Vehicle: Left, Right Easy installation, No Installation Instruction Package Included: 1 pair Frame Slider Crash Protector Fitment: Yamaha MT 07 2014-2018 Note: Please leave us message the color you want, otherwise we will send you SILVER color by default. Evotech Performance has designed and manufactured an engine guard for the KTM 1290 Super Duke R. Evotech Performance products are designed and manufactured to the highest engineering standards here in the UK. R&G Aero Bobbins are a stylish, aerodynamic, teardrop shaped bobbin improving on the original good looks of highly successful and popular standard round bobbins. HONDA CBR 1000 RR SP2. AERO-STYLE CRASH PADS. KTM DUKE 390 2013-2015. High quality Crash bars Protection. Suits the appearance of the motorcycle. Easy installation. No Installation Instruction. Quantity : 1 Set (include Screw). 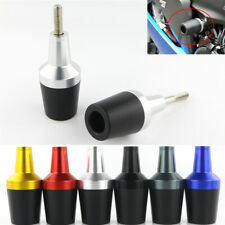 Improve the appearance of the motorcycle. - Holes line up perfectly. Color: As the picture shown. Quantity: One Piece. Installation Instructions Not Included. Honda CB 1300 2003-2010. Material: 6061 Billet Aluminum. Quantity: 1 set. BMW K1600GTL 2011 2012 2013 2014. High quality Crash bars Protection. Suits the appearance of the motorcycle. Quantity : 1 Set (include Screw). Fits: BMW R1150GS & R1150GSA. - BMW R1150GS – All years. Front Engine Guard. Our laser cut, brushed stainless steel front engine guard, looks great. - 1 x stainless steel engine guard. THIS ENGINE GUARD WILL NOT FIT IF YOU HAVE CRASHBARS FITTED, UNLESS YOU WISH TO SOURCE/MAKE YOUR OWN LONGER SPACERS. Water pump and oil pump protection. High-grade aluminum alloy. ZZR 1400 2006-2009. Kawasaki ZZR 1400 ABS (ZX 1400 B6F/B7F) 06-07. Kawasaki ZZR 1400 ABS (ZX 1400 D8F/D9F) 08-09. Kawasaki ZZR 1400 (ZX-14 A6F) (US Market) 06. Crash Protectors. Crash Protectors - Tenshi. HEED Poland. They are useful especially when the original lights are not compatible with our crash bars or they are mounted in a way, which doesn't allow to install our piping. Painting: powder coated. For Triumph Bonneville SE T100 02-15. 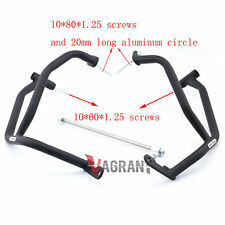 1 Pair x Motorcycle Engine Guard Crash Bar (Left & Right Side). Type: Engine Crash Guard. The images are for reference only. Quantity: 1 Pair (Left and Right Side). Help protect your Ducati Scrambler 1100 engine cases with our high-quality Evotech Performance Ducati Scrambler 1100 Engine Guard Protector 2018 . Evotech Performance has embraced the racing philosophy of the Ducati Scrambler 1100. KTM Part No. SUMP GUARD FOR KTM. Item : Sump Guard. 125 SX 2011-2015. 150 SX 2011-2015. Exceptionally robust rear fastening clamp. New Genuine KTM Spare Parts. For best performance & reliability use KTM Genuine Parts. BMW F800GS F700GS F650GS 2008 2009 2010 2011 2012 2013 / 08 09 10 11 12 13. High quality Crash bars Protection. No installation instruction included. We will try our best to help you solving the problem. KAWASAKI ZX6 R P7F. R&G Aero Bobbins are a stylish, aerodynamic, teardrop shaped bobbin improving on the original good looks of highly successful and popular standard round bobbins. AERO-STYLE CRASH PADS. High quality Crash bars Protection. Suits the appearance of the motorcycle. Easy installation. No Installation Instruction. Material:Coated tubular steel. HONDA VFR 1200 NO DCT. R&G Aero Bobbins are a stylish, aerodynamic, teardrop shaped bobbin improving on the original good looks of highly successful and popular standard round bobbins. AERO-STYLE CRASH PADS. For Honda GL1800 2001-2016. Front Engine Crash Guard Bar. Material : Iron. For Honda GL1800A 2001-2005. 1 1/4" Engine Guard Highway Crash Bar For Suzuki Volusia VL800 Boulevard VL800. Highway Freeway Engine Guard Crash Bar For Kawasaki Vulcan VN 900 D Classic LT. 1 1/4" 1.25" Highway Engine Guard Crash Bar Mount Clamp Foot Pegs For Harley. HEED Poland. Painting: powder coated. All our products have 2 years warranty. Kit includes all necessary parts for installation. Honda CB 750 C Custom RC06 1981 1983. Crash bars for Honda CB750C Custom. complete Set (left and right) crash bars. Usage List / Matching for Top quality made in Germany. account holder: Thomas Klein. MPN 040HA125000. Manufacturer Part Number 040HA125000. California Prop 65 Warning WARNING: May cause Cancer, Reproductive Harm, or Birth Defects. Suzuki DL 1000 K7 V-Strom 07. Crash Protectors - Tenshi. Suzuki DL 1000 K2 V-Strom 02. Suzuki DL 1000 K3 V-Strom 03. Suzuki DL 1000 K4 V-Strom 04. Suzuki DL 1000 K5 V-Strom 05. Suzuki DL 1000 K6 V-Strom 06. SUZUKI GSX 1300 R HAYABUSA. R&G Aero Bobbins are a stylish, aerodynamic, teardrop shaped bobbin improving on the original good looks of highly successful and popular standard round bobbins. AERO-STYLE CRASH PADS. SUZUKI GSXR 400 SLINGSHOT. CLASSIC-STYLE CRASH PADS. Material: Steel core and mounting brackets. Nylon body. • The product is sold with regular invoice and manufacturer's warranty. • We encourage you to check the manufacturer's website for more information by referencing the manufacturer's part number. Specification: Aftermarket 100% Brand New Superior quality and Durable Triple dipped Black finish with metal tubing Mounting hardware included No modification needed Color: Black Material: Iron Fitment： Fits '04-18 XL and '08-'13 XR models. (Will not fit with Front Spoilers. ).